I hope my recent story about my love affair with lobster will inspire you to try making these Lobster in a Crusty Shell appetizers. 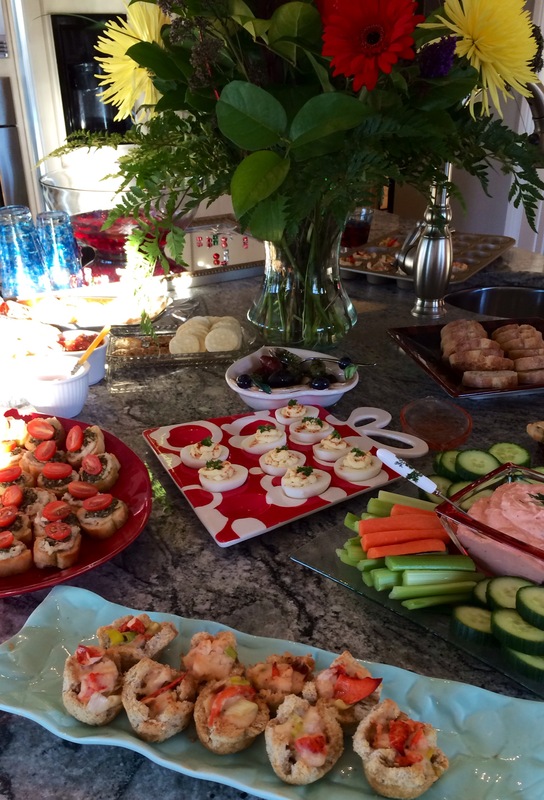 I came up with this recipe a few years ago when I was charged with bringing the appetizers to a very intimate New Year’s party at a dear friend’s home. My friend LouLou is an elegant hostess. It’s not just because of the expensive wines her husband pulls from his cellar (that surely is a treat – don’t get me wrong) but rather it’s because of the care she takes in planning her menu and in choosing the finest ingredients. Further refinement comes in the table she sets, the pace she orchestrates and the ease her guests feel as company in her home. I was very pleased to be included on the rare occasion that all of her grown and far-flung family were present for New Year’s Eve. I wanted to create something memorable for this lovely family and on par with the special treats I knew I would be receiving that evening. I remembered a friend from Halifax who used to stuff toasted bread croustades with Coquilles St. Jacques on special occasions and how rich and creamy they were. I got to thinking about how lobster might taste given a similar treatment. I played with the recipe and these luscious bites were born. The evening of the party my new creations disappeared as quickly as the years seem to. I savoured each bite with the mineral notes of the tres elegant Puligny-Montrachet our host chose to pair with my lobster offering. It was an auspicious start to the evening, which led to the elegant end of one year and the beautiful beginning of the next. As this year comes to an end I wish you a happy and prosperous New Year. I hope we are blessed with the gift of being able to Savour it All together. 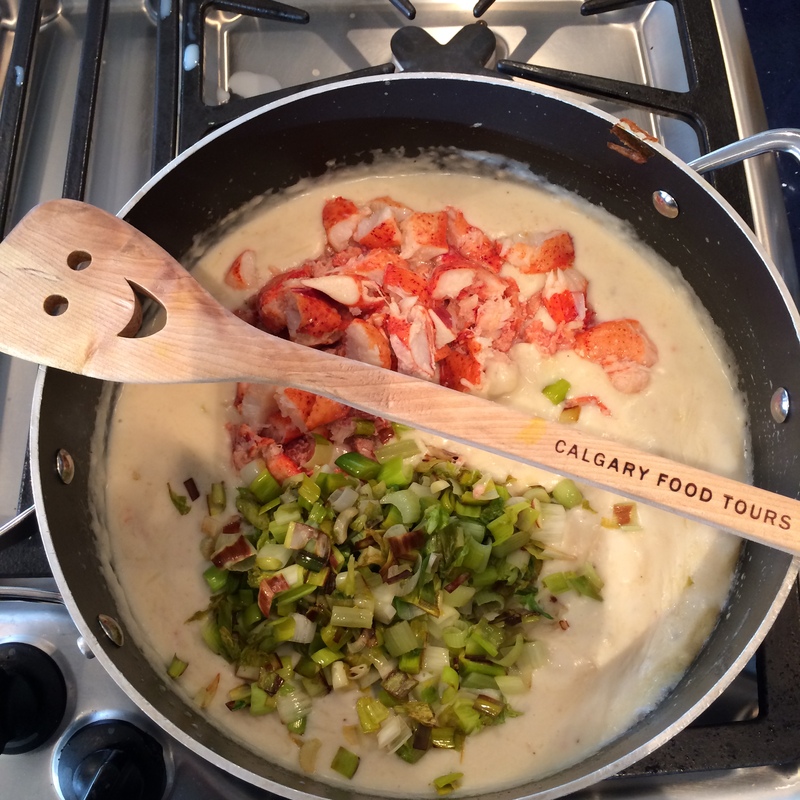 Begin by making the croustades that will act as the “crusty shells” for your lobster filling. Remove the multigrain bread from its package and slice all the crusts off in stacks of 4 to 5 slices at a time. Brush each side of the bread lightly with olive oil and tuck the pieces into muffin tins (I used a Williams-Sonoma gold label mini-muffin tin with 20 slots for the batch you see in these photos). Bake the bread shells for 10 – 15 minutes or until they are getting firm and beginning to turn golden. They’ll finish cooking once they have the filling in them but they need to firm up a bit so they won’t go soggy. Remove the croustades from the oven and let them cool 5 minutes in the tin and then remove them to a wire rack so they will stay dry and not sweat while you are preparing the filling. 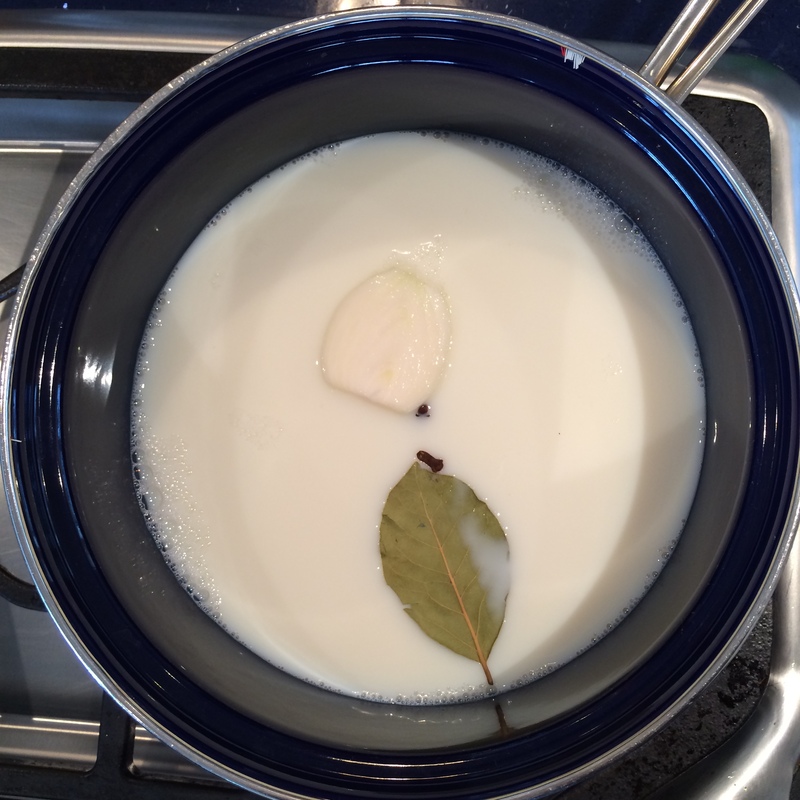 Prepare a béchamel sauce to use as the base for your filling by combining the onion half, cloves, bay leaf, milk and lobster juice in a saucepan and simmering them over low heat for 15 minutes. 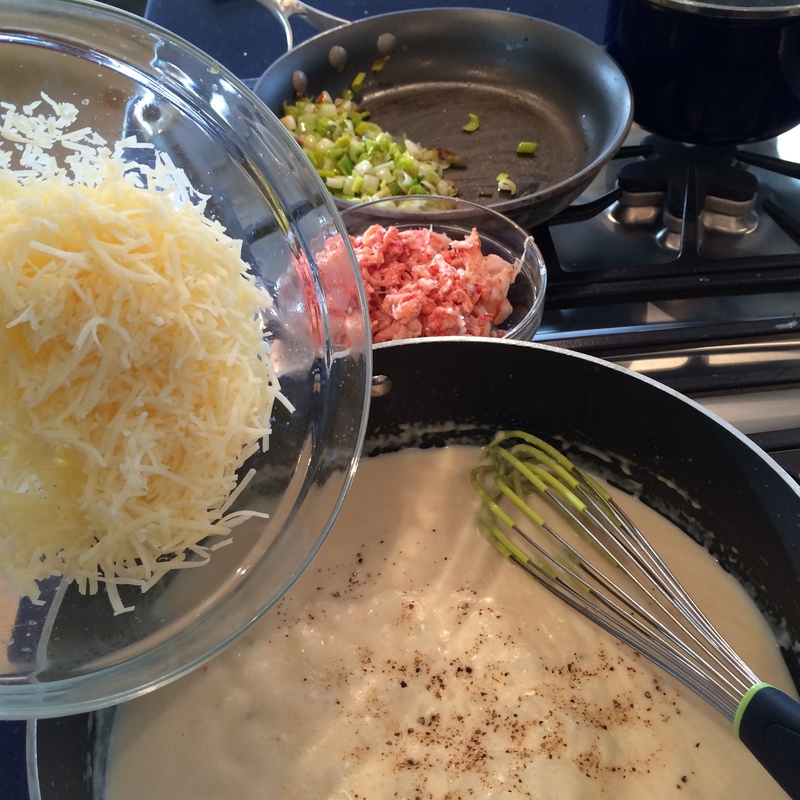 Meanwhile, melt the 1 T of butter in a pan and sauté the leeks and celery until soft then set them aside. Strain the now flavoured milk through a sieve into a bowl to remove the seasonings. Melt the 3 T of butter in another saucepan and add the flour. Cook this mixture over low heat for 2 – 3 minutes to remove the raw taste of the flour. 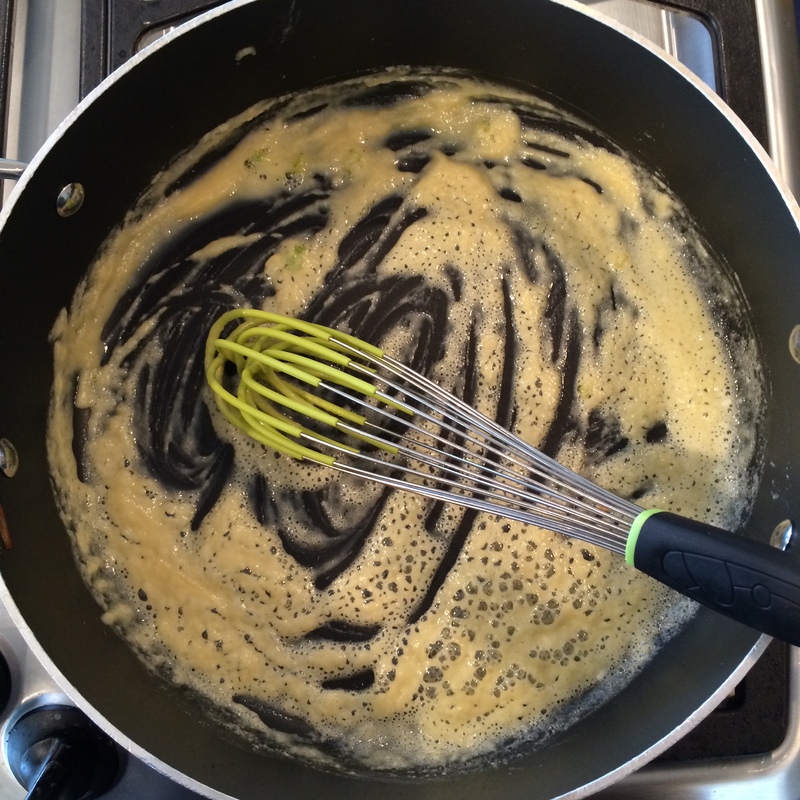 Whisk in the strained milk gradually and continue whisking gently until the mixture thickens – about 7 – 8 minutes. Add the cooked vegetables, lobster and salt and pepper to taste. 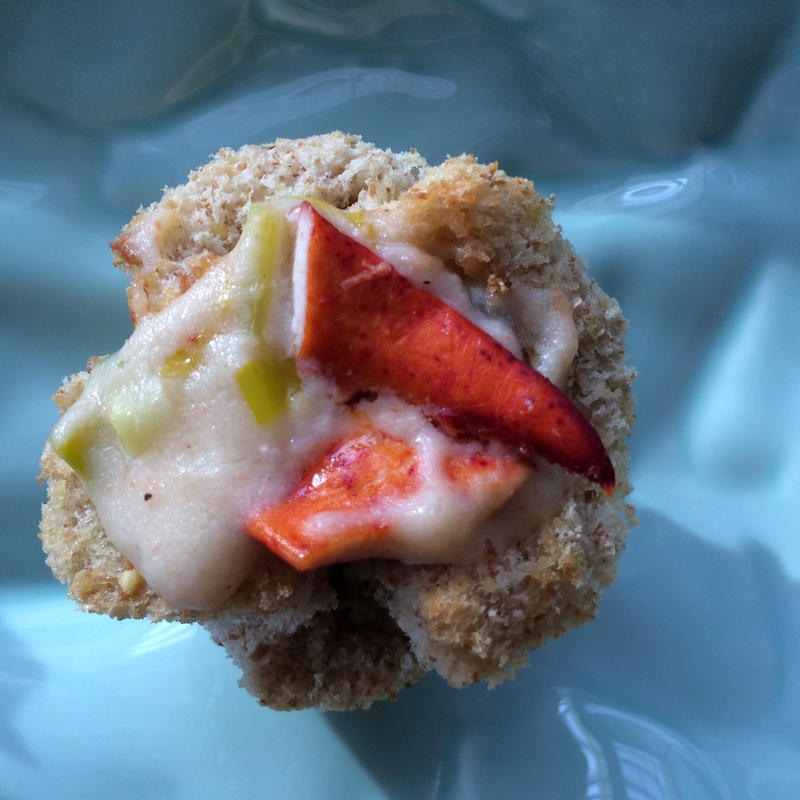 Place the croustades back in the muffin tins and fill each with the lobster mixture. Bake at 350°F for 20 – 30 minutes depending on whether they are going directly into the oven or coming from the fridge. Remove them from the oven when they are hot and bubbly and starting to brown. 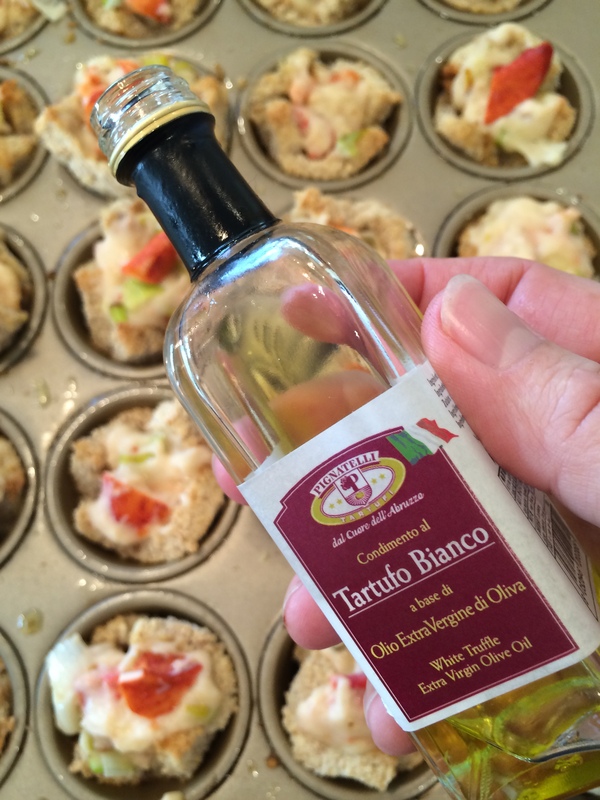 Drizzle the top of each with white truffle oil and serve from a pretty platter. Thanks so much. That means a lot coming from a seafood expert like you! I’ll be following your new blog. 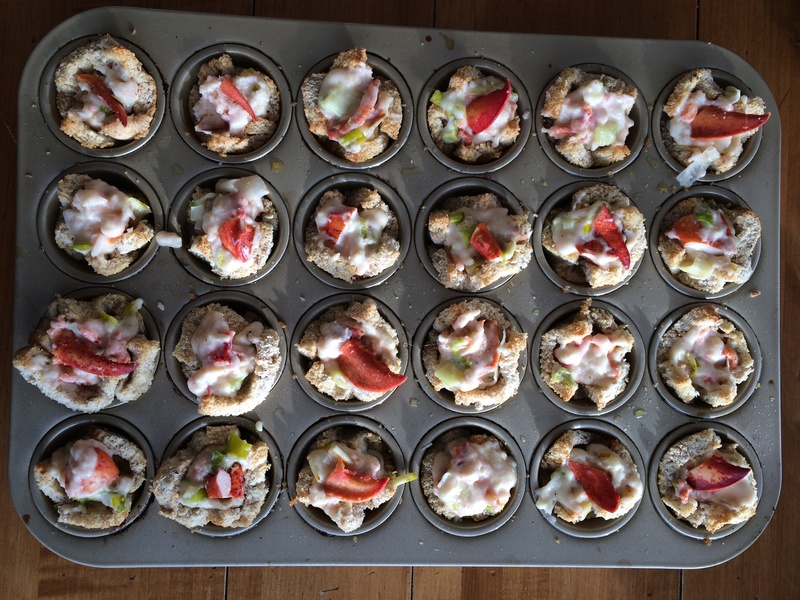 Great post, I love that you have pictures along with your recipe. I just ordered fresh lobster online because I plan to surprise my boyfriend with a nice seafood dish since he doesn’t get to eat it that often. I don’t eat any seafood so I feel bad that he doesn’t get it as much as he would like. This is the perfect appetizer for my surf and turf dinner that I plan to make. Thanks so much for sharing, I can’t wait to give this a try. You could definitely cut the recipe down so that you’re not overwhelmed by what will seem like an army of little lobsters in crusty shells if your boyfriend is the only one eating them.